MASAYA, Nicaragua – There is something in Masaya’s air that makes sleeping seem like a waste of time, or a mistake. 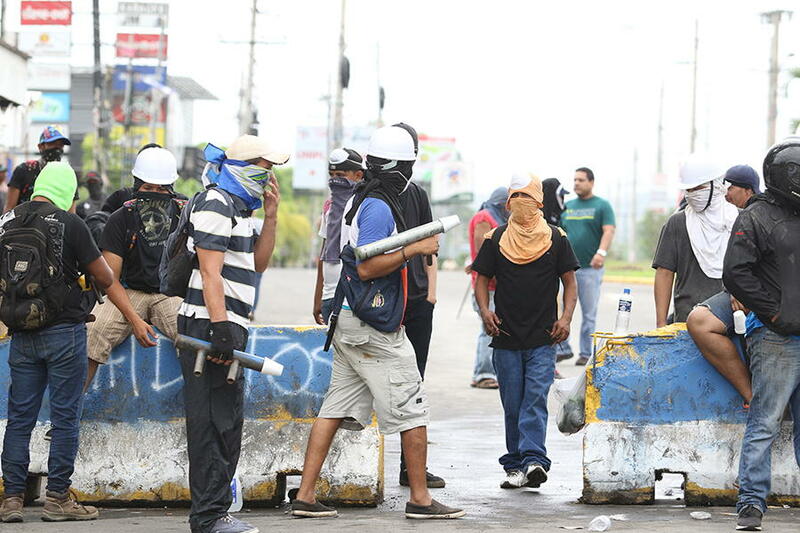 It is not the incessant rain that has fallen on this Nicaraguan city, which was the birthplace of the Sandinista movement and has now rebelled against the government, but the idea that someone may come and infiltrate the protesters, who have violently clashed with police in this Central American nation since April. “We have two of them! We’re taking them there,” a protester said over the phone to warn his associates that they had detained two men and were taking them to San Miguel church, where the protesters have set up a barricade. According to the protesters, the two men they had detained were police officers attempting to infiltrate the protest movement. Within the church, an improvised medical clinic has been set up where paramedics tend to those who have been injured in the clashes, as well as to the alleged infiltrators who have been “hunted down” by the protesters. Two men soon approach the church with a “prisoner,” one of those alleged infiltrators who was detained by protesters in Nindiri, on the outskirts of Masaya. The man’s face is bruised and his shirt is covered in blood, a sign that the protesters had beaten him. “Do I have blood on my back?” the disconcerted man asked a motorcyclist who approached him. Paramedics then took the young man into the improvised clinic, as blood dripped from his back. While the paramedics did their job, the protesters attempted to justify what had happened, saying that the “infiltrator” was a police officer and that they had discovered his true identity because of his pants.